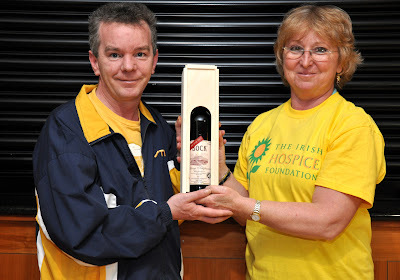 Dundrum Table Tennis Club held a "FUN Tournament" in aid of the The Irish Hospice Foundation on Monday, 27th April 2009. We all had a great night and Agnes Kerti (Irish Hospice organiser, and club member) would like to thank all those who took part, and made a contribution to the charity. The overall winner was Dave Keenan, pictured here with Agnes presenting his prize! 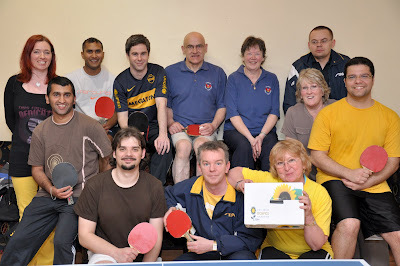 Also pictured the members who played on the night.